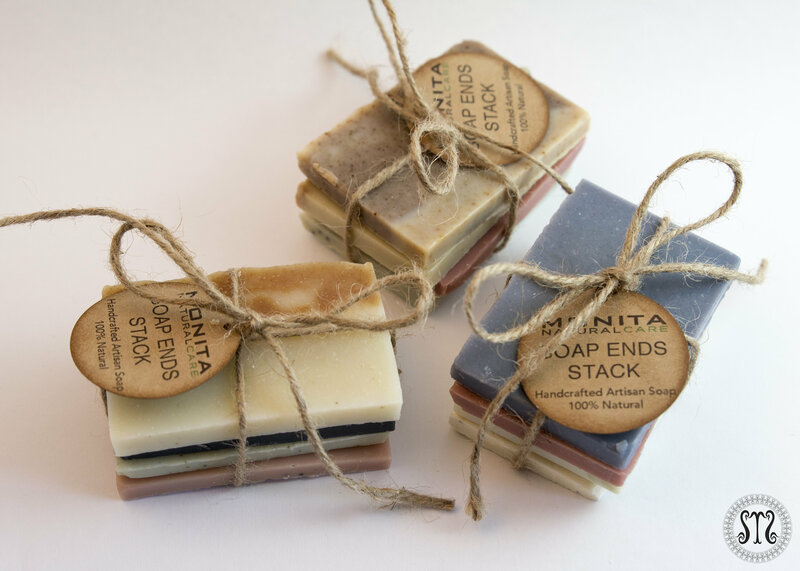 These Soap Ends Stack is a great way to try out our soaps, and they're also a perfect size for traveling or camping. Each stack is different from one another, with different shapes, sizes and scents. It contains an assorted mixed set of 4 thin soaps (the end cuts of the batch). Approx Weight 6.0 oz. for each stack. *** Please note the stack may vary from the picture. Ingredients: Olive Oil*, Coconut Oil*, Sustainable Palm Oil*, Avocado Oil*, Sweet Almond Oil*, Raw Shea Butter*, Raw Mango Butter*, Raw Cocoa Butter*, Sodium Hydroxide, Distilled Water, Essential Oils, Clays and Botanicals.